As an employee of Coors Brewing Co. 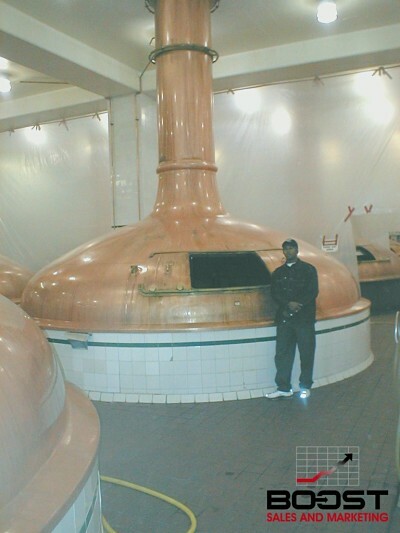 I spent four months training at the Coors Brewing Plant in Golden Colorado. 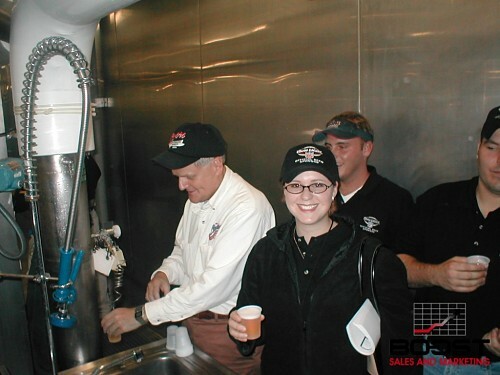 This was such a great experience to learn how Coors makes and Distributes it great beers. 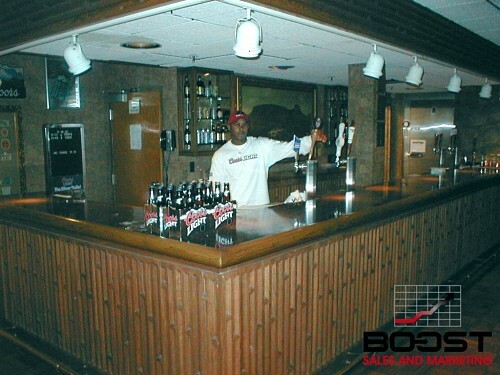 Coors light is the only domestic light beer that is not heat pasteurized but is cold filtered. Follow along as I show you how Coors brews it's beers. 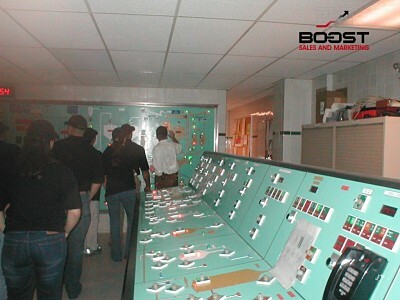 These pictures where taken during my training at the Coors Brewing Plant in Golden,Colorado. The first step in the malting process is steeping. 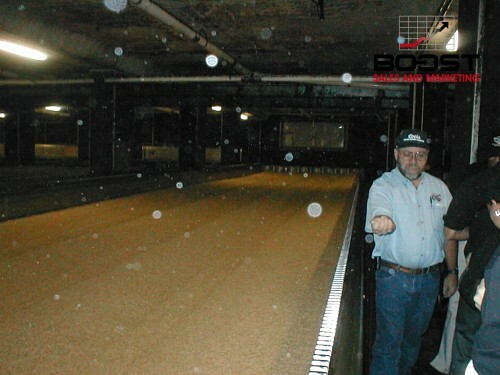 Coors begins by soaking the barley in water to clean it and moisten it for germination. In the germination phase, the barley begins to sprout. Raw starches naturally break down into suitable starches and natural enzymes perfect for the brewing process. 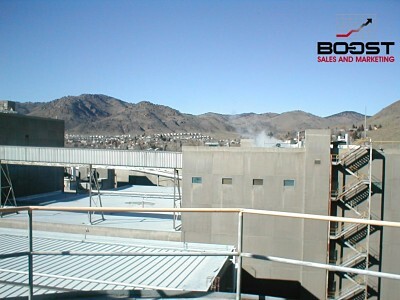 Before sprouting goes too far, Coors toast the barley in a kiln. The kiln can be used for more than simply stopping growth. Time in the kiln controls color, from pale gold to rich chocolate. It also controls flavor, creating beer that's sweet and mellow or dark and bitter. After the malt has aged properly to mellow the flavor, it's time for milling. We grind the malt into malt flour, called "grist." Milling cracks the tough outer hull of the grain so water can get in and dissolve the starch and sugars inside. Ripe barley from the field is full of raw, natural starches much like those in wheat flour. Before the yeast can work, these must be converted into simpler starches and sugar. 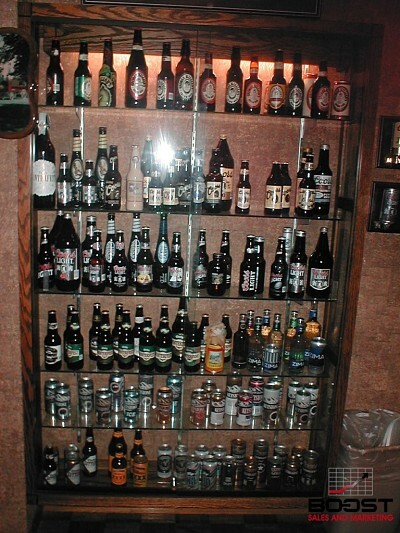 Several of Coors beers include barley that they have malted themselves. Coors adds hot water to the grist to produce a mixture called "mash." 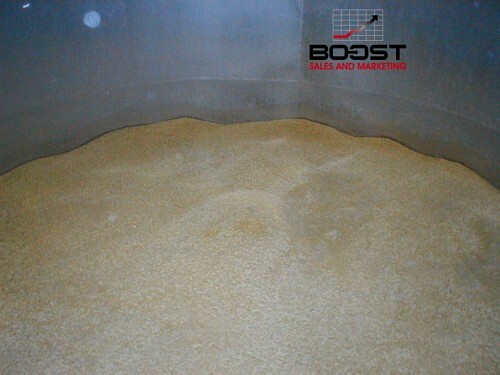 The combination of heat and natural enzymes from the barley breaks down the starches into fermentable sugars. 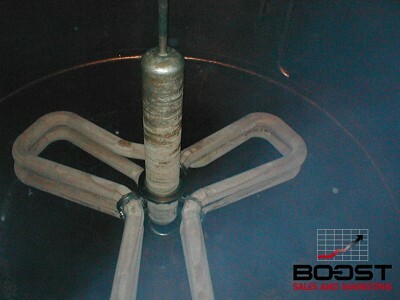 This process takes place in large kettles called mash tuns. When the sugar content is just right, Coors filters the mash to separate the solid husks and germ of the grain from the sweet liquid. The solids, which make nutritious, high-protein animal feed, are sold to local farmers. The sweet liquid, called "wort," is transferred to another kettle. 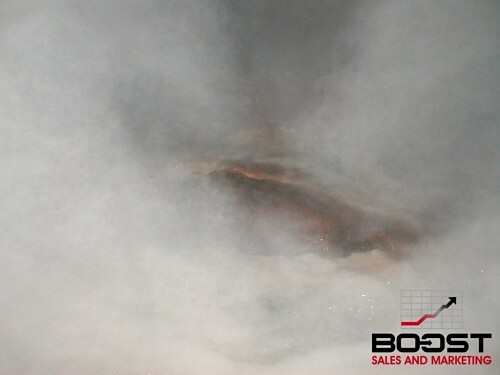 Coors now heats the wort to a boil to clarify it and reduce excess water. Coors adds hops at this stage for their aroma and spiciness, and to balance the sweetness. 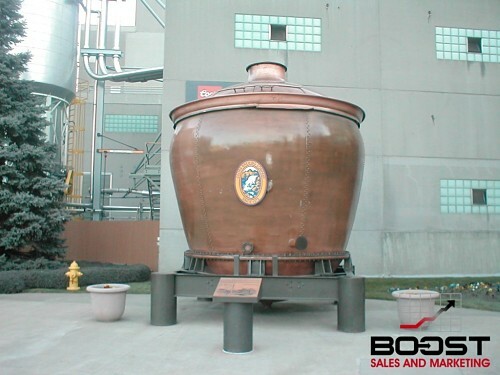 Here I am in next to the Cooper Beer Kettle. These brewing Kettles are huge. 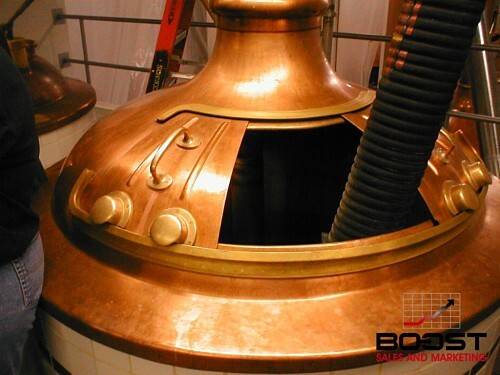 A look inside the Cooper Brewing Kettle before they start adding the ingredients to make their wonderful beer. 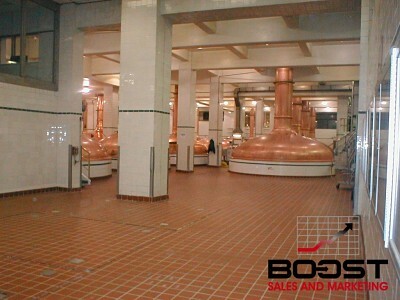 When the wort cools, Coors adds their famous yeast, and fermentation begins. It takes a while for the yeast to multiply, but once there's enough, they consume the sugars and produce alcohol and CO2 (carbonation). 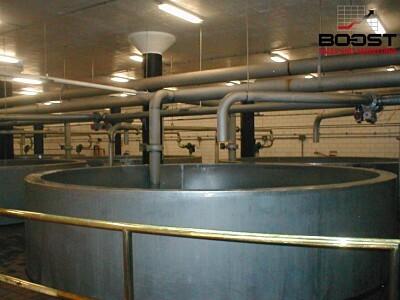 The fermentation tank is constantly kept at cool temperatures for the yeast to do the best job. Fermenting typically takes eight to ten days. After fermentation, the filtered, fermented wort is officially beer. But at this stage the young beer needs to mature. 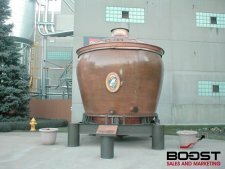 For most of Coors Beers (and all of their lagers), the next step is aging and secondary fermentation in large tanks. A term for this stage is "lagering," German for "storing." During the aging process, the beer matures, develops its natural carbonation and its unique flavor. Ale yeast likes warmer temperatures than lager yeast. Coors ales ferment and go through their aging at less icy temperatures than their lager counterparts. This is why lagers and ales taste different. When aging is complete and the flavors found in Coors beers are in perfect harmony, it's time for their ultimate destination. 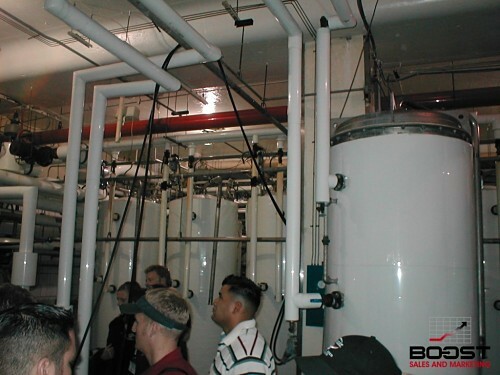 These are the Cold-Filtering Tanks that Coors uses to remove any impurities during the fermentation process. 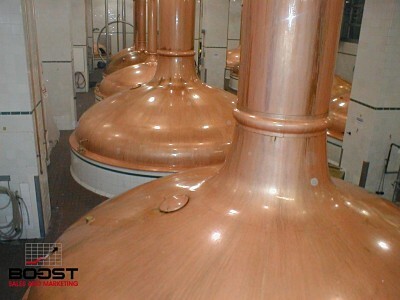 This is also were they add the yeast to make the alcohol in the beer. 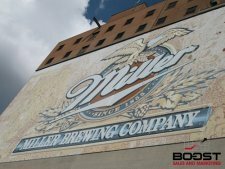 Depending on the brand, MillerCoors beers may be heat-pasteurized or cold-filtered and sterile-filled. Heat pasteurization involves slowly warming the beer to 140 degrees, then cooling it to room temperature to eliminate impurities. 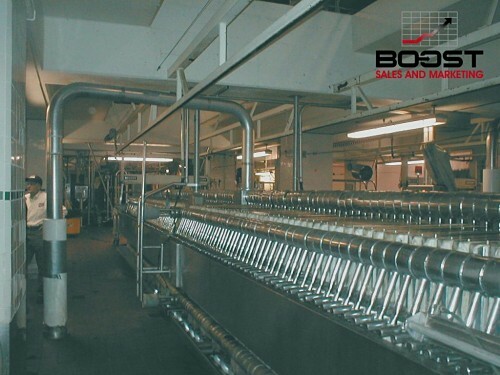 Coors Brewery cold-filter and sterile-fill processes use cold storage and a series of filtration steps to prevent any potential compromises in beer flavor and quality. 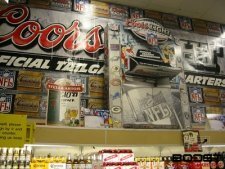 Coors does it's best to minimize packaging--for environmental reasons and to keep costs down for distributors, retailers and their customers. 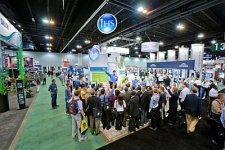 Coors Brewing Company has set ambitious goals for reducing packaging and waste associated with their products-and these goals get more ambitious every year. 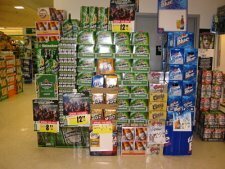 Coors offers a variety of packages and container sizes to accommodate the tastes of all their customers. 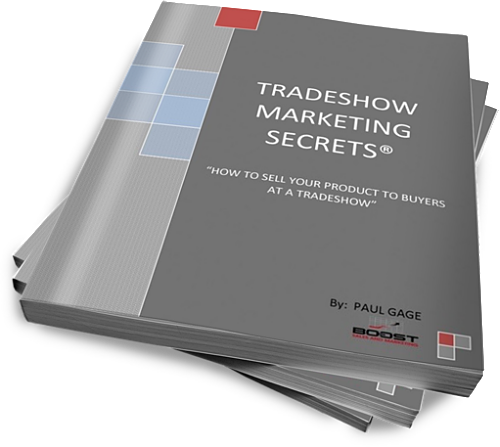 Not all brands are available in all packages, and not every package is available in all areas. Coors colors most of their bottles brown or green to protect the beer from light. For beers sold in clear glass bottles, Coors uses patented light-stable hops that prevent beers from becoming "light-struck." 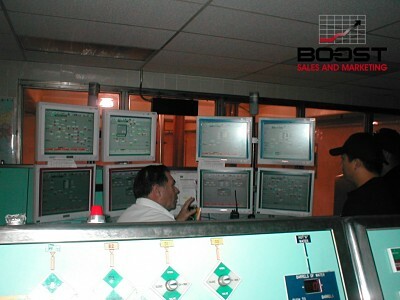 Now talk about a control room. Coors takes it very serious with the beverages they manufacture. It is like being in a hospital when it comes to monitoring the brewing process of their beers. 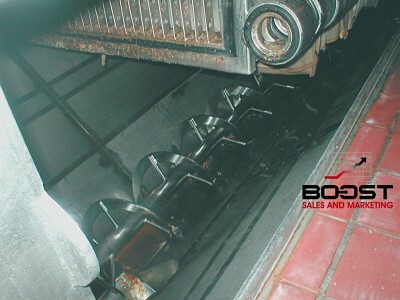 The Coors Light brewing process itself uses a system of ice-cold techniques to create the unique light taste. 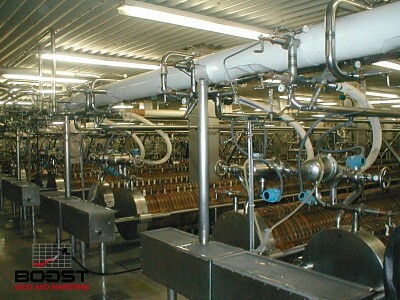 During this process, frost can even be found forming on the pipes. This special process is one reason why the 'Light' taste of Coors Light is so palatable and easy to drink. Complex 'heavy' starch molecules are broken down into smaller sugar molecules, to aid fermentation and flavor development, as they are more readily turned into alcohol. This is also why people find Coors Light less filling than other lagers. 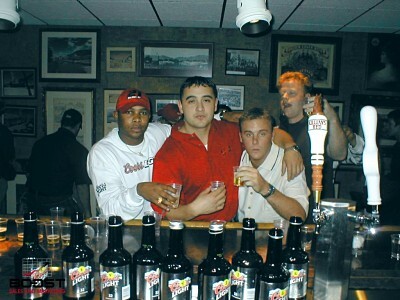 Just at the right moment, Coors stabilizes the beer. 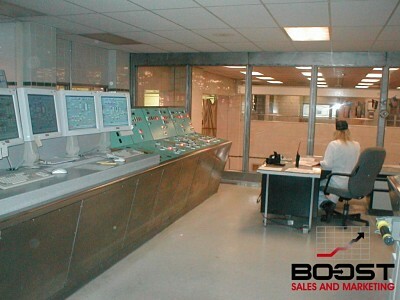 At six stages during the Coors Light brewing process, the beer is cooled, ending up at 29.3°F." Then, to complete the process, they go one ice-cold step further and protect the taste of Coors Light by using cold conditioning and filtration, this time at 30.2°F. "This technique has allowed Coors to create an incredibly pure beer, enhancing the clean, crisp taste. The below photo is the Pig Tail in the factory, where they can sample the freshest beer straight from the filtering tanks. This is the beer that gets bottled once it has finished fermenting. Talk about drinking fresh beer. Not many people get to taste beer straight from the pig tail. "This is not part of the tour". Coors Light is brewed at low temperatures - so, to get the crispness of taste, you return the beer to those chilled conditions." The optimum ice-cold serve for Coors Light is 33.8-37.4°F. This is the room where the Brew masters will come into and sample beers from different locations to make sure all the beer is the same. 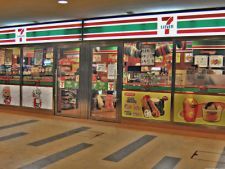 They will also taste beers that have been removed from the market for various quality reasons. 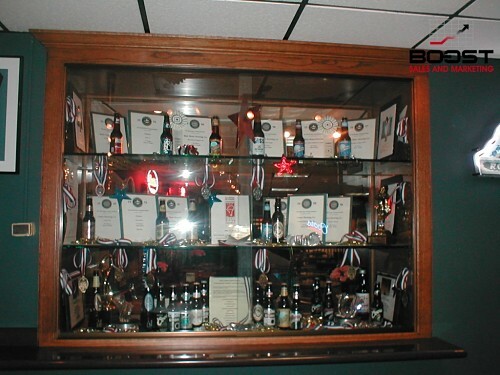 Coors Brewery awards for the various Coors Brewing Beverages located in the hospitality room. 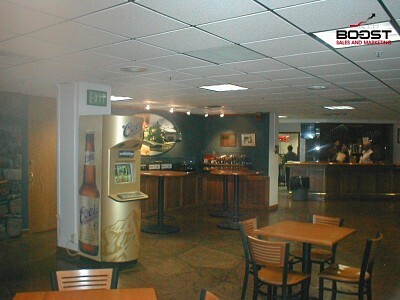 Coors Brewery Hospitality room where they take visitors to taste the Coors Beers.